In 2012, it was reported that over 108 million Americans went without dental insurance, and ultimately, dental healthcare. Today, it is estimated that more than 55% of Americans lack dental insurance. High costs, waiting periods, deductibles, and maximums are some of the reasons why many Americans are turning down dental insurance. Because of this, an increasing amount of dental offices now offer in-office membership plans in an effort to keep the mouths of America healthy. Trips to the dentist should not be optional as dental checkups are crucial to maintaining optimal oral health. 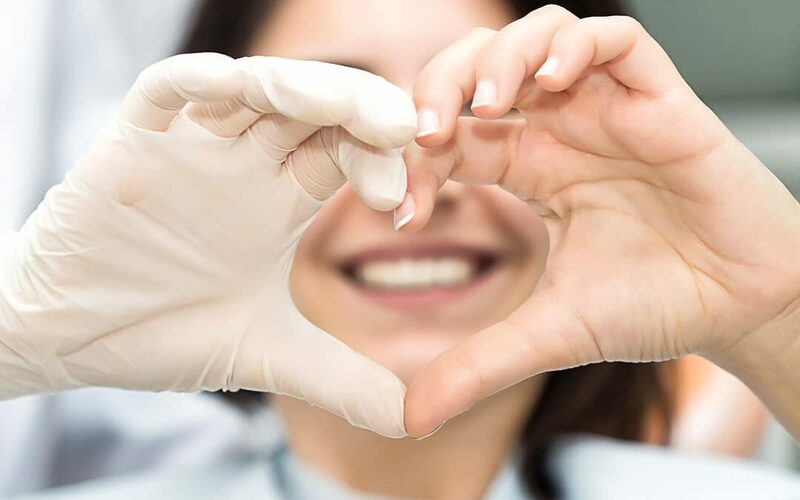 Triangle Dentistry wants to be a part of the solution, not the problem, which is why we are proud to introduce our very own In-Office Savings Plans. Most dental insurance plans in North Carolina come with a maximum annual benefit, or a coverage limit. This limit usually falls between $1,000 and $2,000, which could be problematic for those needing more treatment than an annual checkup and cleaning. Unlike health insurance, which covers costs after your bills reach the amount of your deductible, dental insurance cuts coverage after your bills reach your annual benefit limit. This, coupled with waiting periods for services and limitations on providers, makes even thinking about researching dental insurance stressful for many patients. 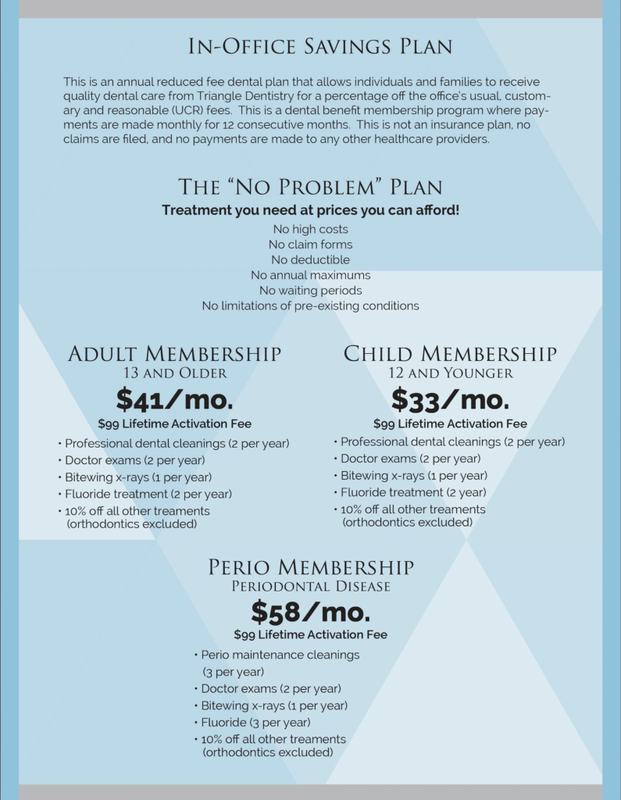 Choose Your Plan – Triangle Dentistry offers three membership plans; Adult, Child, and Periodontal. Adult memberships start at $41 per month and are designed for adults and adolescents 13 years of age and older. Child memberships start at $33 per month and cover children 12 years of age and under. Periodontal memberships offer deep cleanings for those with periodontal disease and are $58 per month. Pay Your Activation Fee – Once you choose your plan, you will have to pay your one time, lifetime activation fee of $99. You will then be entitled to the dental benefit membership program for 12 consecutive months. Choose Your Monthly Payment Method – Our office staff will work with you to figure out the best payment method for your monthly plan. You have the right to cancel at any time by submitting a written request, however, this plan is non-refundable. Enjoy Your Dental Health – That’s it! After that, you can enjoy the benefits of your savings plan. Visit our In-Office Savings Plan page for more details, and how to get started.